Some people believe that the insurance company for the person that caused the injuries will simply do the right thing and pay the medical costs incurred to diagnose and treat the injuries. This is not true. If the adjuster representing the responsible party leads you to believe that they will pay for such costs, they are in reality trying to convince you to settle the claim for an amount equal to the medical expenses with no allocation for the pain, suffering, anxiety and humiliation that normally is compensable in a personal injury lawsuit or claim. Sometimes, the adjuster will lead the injured party to believe that the insurer will pay, but in actuality is leading the injured party along and delaying the handing of the claim. Then, a month or two later, the adjuster will tell the inured party that because the injured party delayed in getting treatment, that the claim is tenuous at best. 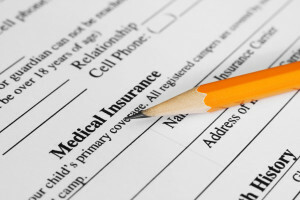 If you are waiting for an automobile insurance company to refer you to a doctor, you are making a mistake. Don’t delay, get medical treatment right away. If you are wondering what to do to get treatment for injuries caused by an accident, the answer is: Treat it like any other injury. Just because your injuries are caused by someone else’s negligence does not alter what you should do for treatment. Go see the necessary doctors, physical therapists and chiropractors. Does your back hurt? Go see an orthopedic surgeon. If you were knocked unconscious and/or had headaches after the accident, go see a neurologist. Sometimes, clients are reticent to use their own health insurance to treat injuries caused by an accident because they don’t want to make a claim, or they feel they may be dropped for coverage, or that their premiums will go up. In my opinion, this is not the proper way to analyze the situation. First and foremost, your health is your number one priority. You owe it to yourself and to your family to take care of yourself and remain healthy and in the best possible position to enjoy life. You have insurance for a reason, you have paid premiums for years to have insurance precisely for the purpose of having your health maintained and protected. While it is true that, when the case settles, your health insurer will want reimbursement of a portion of the medical costs it pays for, normally such amounts are reduced to reflect a fair result for all involved. As a personal injury lawyer in Los Angeles, clients frequently ask me what medical treatment they should get. Naturally, I give them my opinions in an effort to get them the care they need with the goal of getting back to their pre-accident health as soon as possible. Many clients are uncertain whether the health care treatment they are receiving is going to assist their claim. For example, sometimes I am asked a question such as the following: “If I have a MRI taken of my back and it shows no damage, won’t that hurt my case?” In essence, they are making treatment decisions based on the claim as opposed to their symptoms. If your back is hurting as a result of a car accident or slip and fall, go see the doctor and get the MRI. If the MRI shows no damage, consider yourself lucky because you will probably heal completely. The fact that you don’t have a strong personal injury case is secondary to being in good health. If you have no health insurance, normally a lawyer can issue a letter to the doctor or treatment facility guaranteeing payment to the medical provider out of any proceeds that the lawyer can collect on the case. The doctor treating you on such a basis has a “lien” on the settlement of the claim. While not all doctors will accept a patient and provide treatment on a lien basis, typically your lawyer can find such doctors and assist you in getting the medical treatment you need to get healthy again. Normally, doctors treating on a lien basis charge top dollar for their services. They do so because they are taking the risk that they will not be fully paid for the services they rendered. Occasionally, the underlying case goes south and the settlement value drops precipitously and the doctors get paid pennies on the dollar. If you have been injured in an accident, call a lawyer to make sure your rights are protected. And, if you don’t have health insurance to diagnose and treat your injuries, the lawyer will recommend health care professionals to help you get the treatment you need. Click here if you’re looking for a personal injury lawyer in Los Angeles.